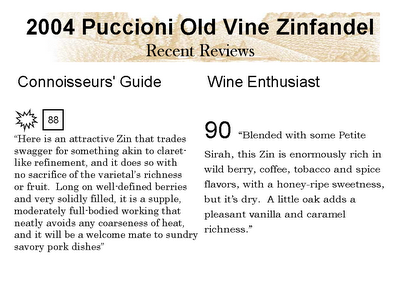 We wanted to share with you some recent reviews we have gotten for our 2004 Puccioni Old Vine Zinfandel . The Connoisseur's Guide liked the wine and gave it a puff - which means they consider it to be an outstanding wine. 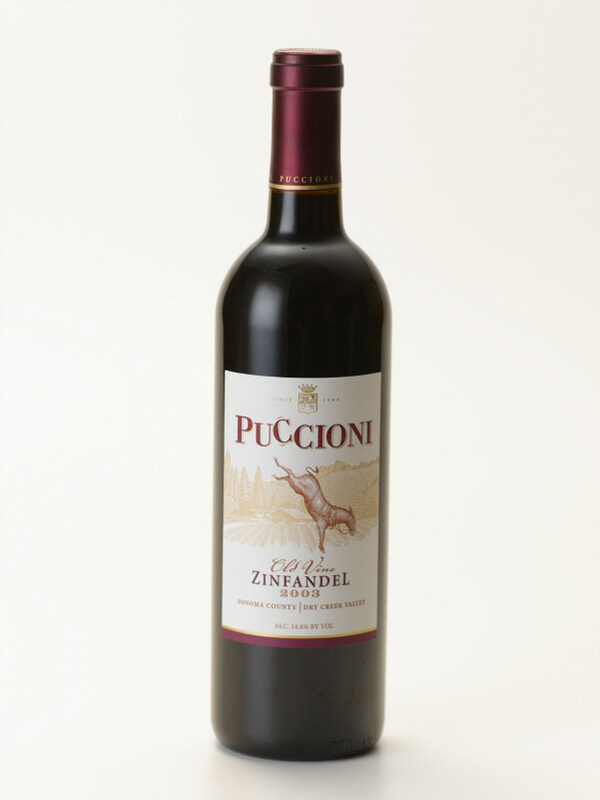 The Wine Enthusiast gave the wine a 90 score and liked the rich character the wine offers. We are appreciative that we have been able to recieve these types of reviews - but our hope is that each of you who drink this wine get more than just the flavors or tastes or remember the scores - but that you take pleasure and time to enjoy each and every sip and in some way we have helped you make life just a little better. And of course its nice to know people have been tasting wine from these vineyards for over 100 years. All The Best!